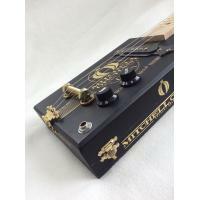 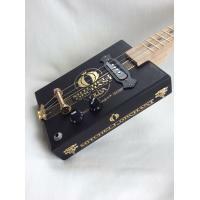 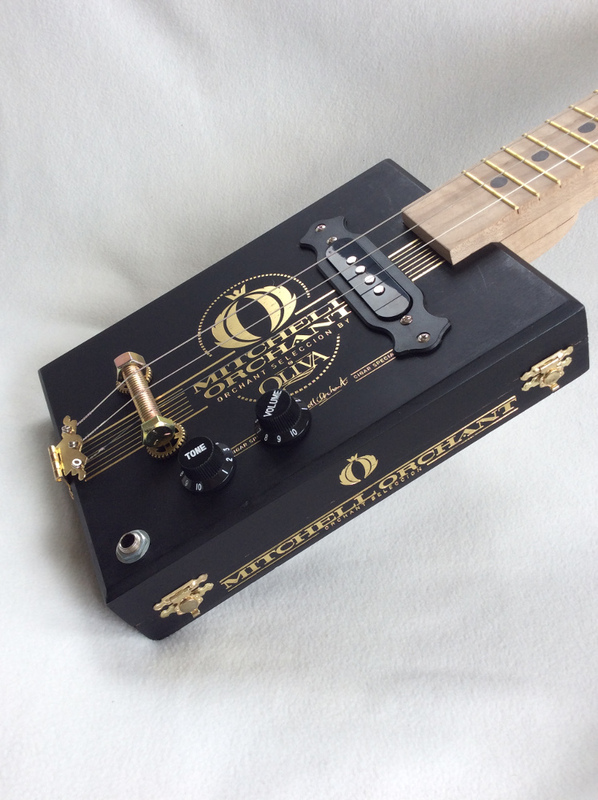 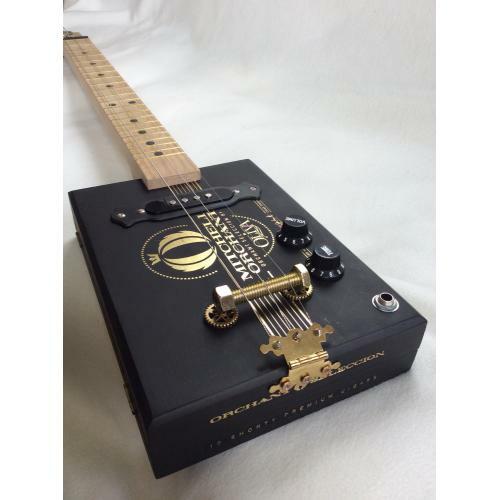 This cigar box guitar which is available for sale at the moment, is a 3-string Cigar Box Guitar tuned to open G which is low string G middle string D and top string G. It has a hardwood Maple neck which is fully fretted for fingerstyle playing and the scale length is 25 and a 1/2 inch standard. 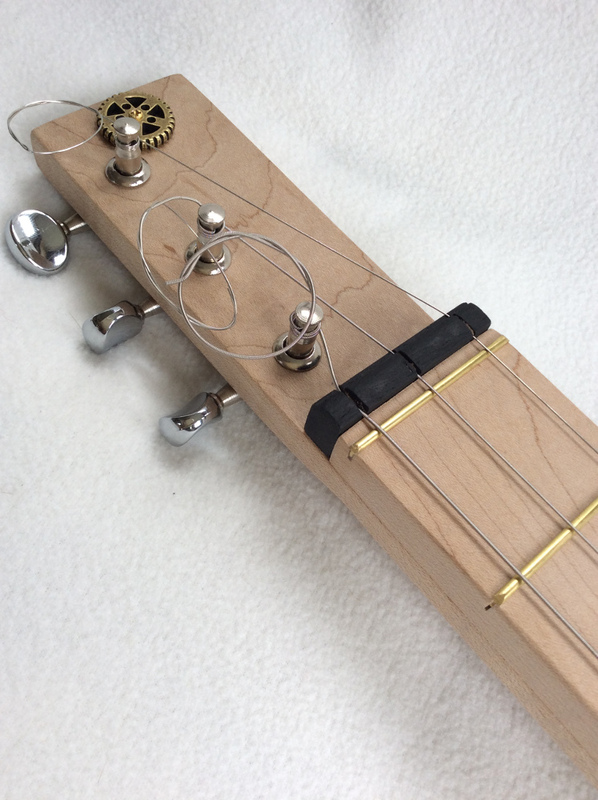 It has a magnetic pickup installed so it can be played using an electric guitar amplifier. 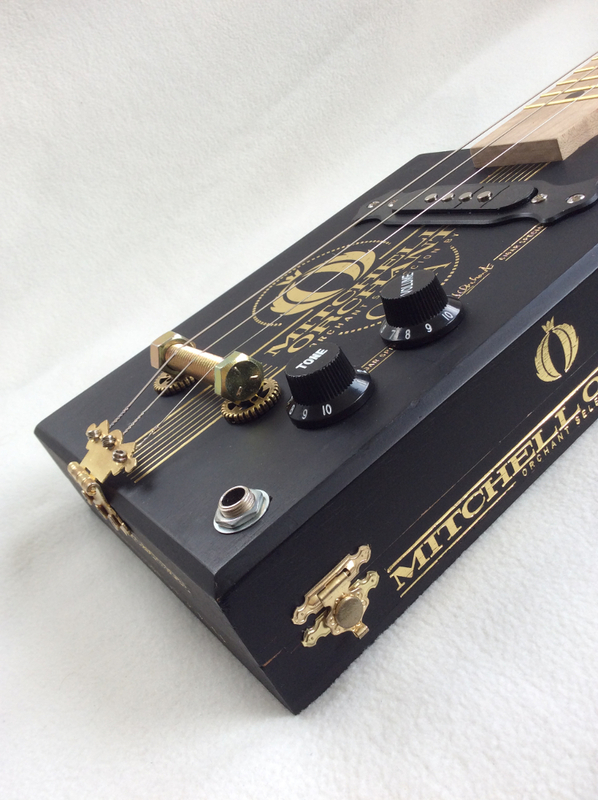 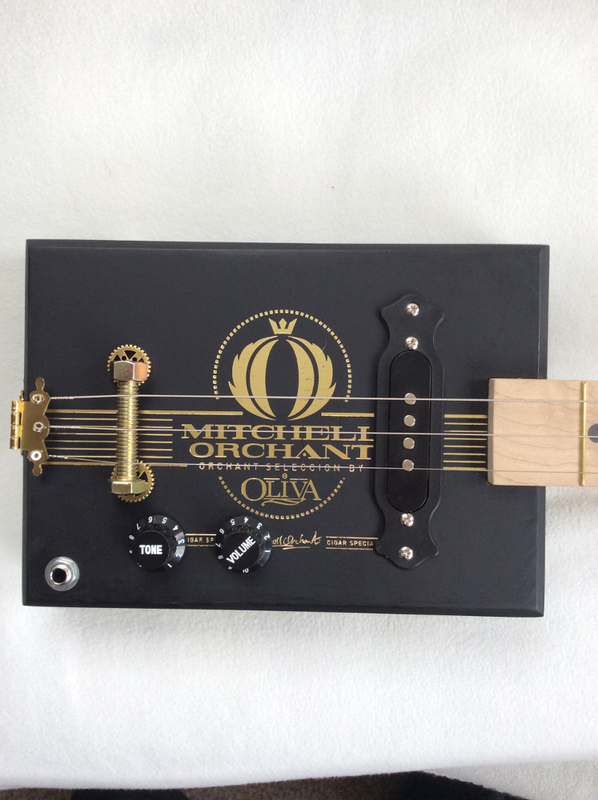 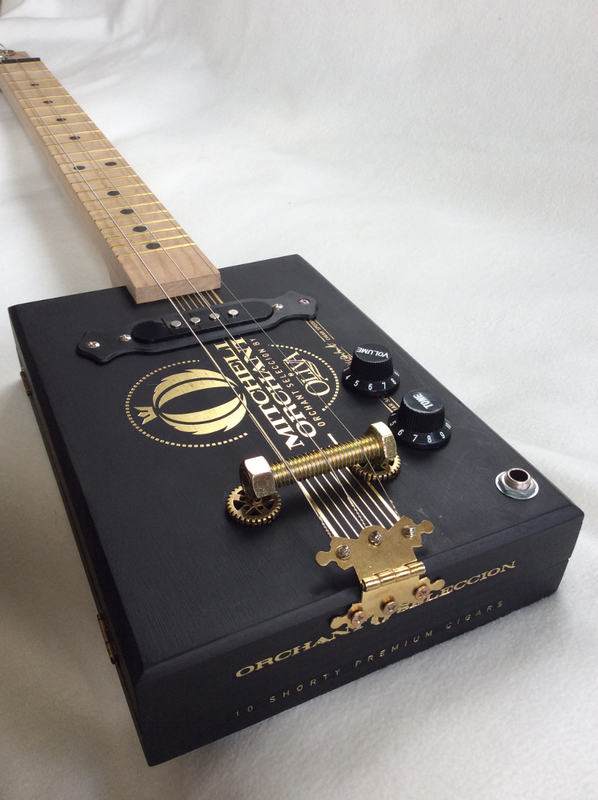 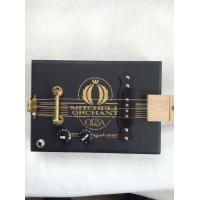 The Cigar Box is the Mitchell Orchant Oliva with original clasp and hinges and can still be opened to access the electrics.The guitar has volume and tone control knobs installed to adjust the sound. 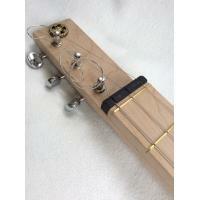 PLEASE NOTE these are made to order, and therefore can take approx 14 days to produce.